in a perfect way to avoid any damage. 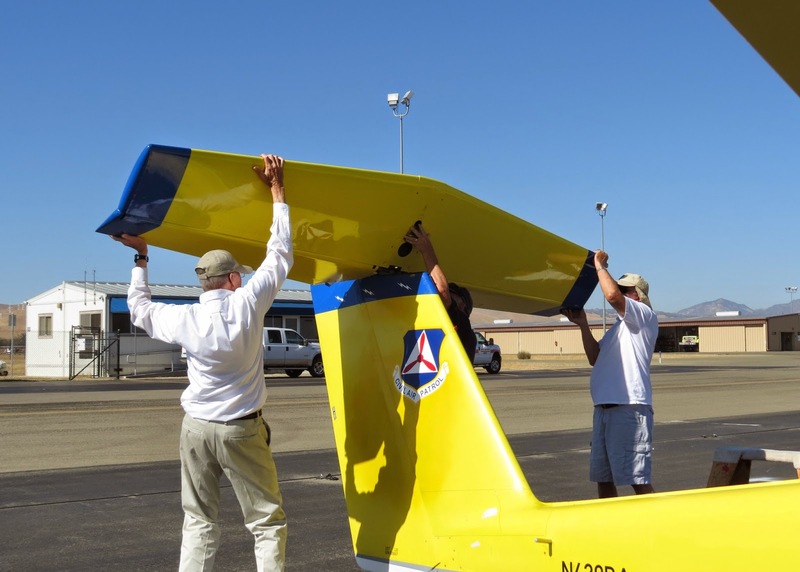 Saturday, October 4th, 2014, Civil Air Patrol (CAP) members were very busy at Contra Costa County’s Byron Airport assembling a Super Blanik glider, recently received from the United States Air Force (USAF). The USAF Academy replaced the last 12 of them with new updated models to teach gliding to the USAF cadets. All 12 of them were donated to CAP with 10 distributed among several Wings (States) and the other two kept for spare parts. California Wing received one of these and after some repairs done in Minden, Nevada, it was transported to the Byron Airport in East Contra Costa County by Maj Robert Semans. 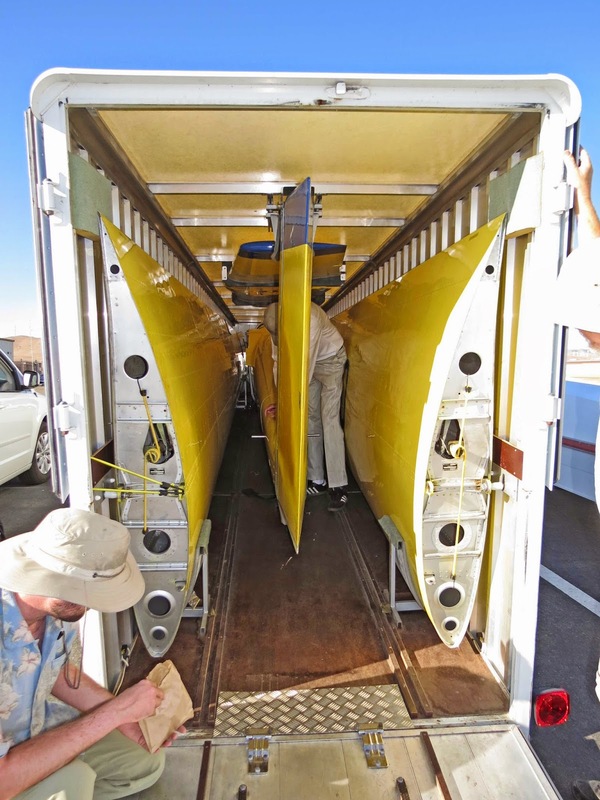 It came in a nice large glider trailer, completely secured to it with very sophisticated clamps, cradles and cushioning material to prevent any damage during transportation. 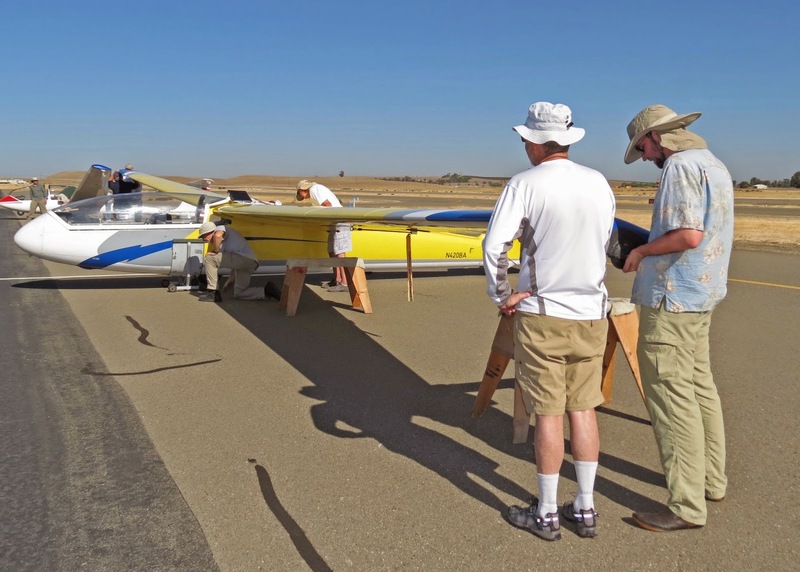 Under Maj Semans’ direction, CAP members 2d Lt Matthew Gast, 2d Lt John Radazzo and 2d Lt Van Henson managed to assemble the glider in about two hours of work. 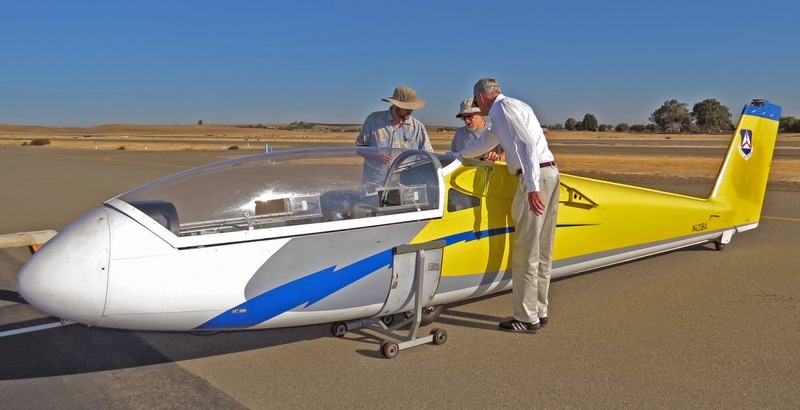 This time included all the necessary inspections, including double-checking all the assembly points, to ensure a completely safe and airworthy condition. Maj Semans mentioned that it took less time than expected. The fuselage already removed from the trailer. CAP, under its Aerospace Education program, uses gliders to introduce cadets to flying. These Orientation Rides (O-Rides) will take place in two locations in California. In Los Alamitos, Southern California, there are two gliders that have been operational for many years. The local one at Byron will serve cadets from Northern California, and it will start regular operation within a couple of weeks. Cadets can receive 5 different O-Rides both in gliders and in single engine aircraft to receive an introduction to flying. Many cadets continue their flight training, and some have gone on to become USAF transport and fighter pilots. Besides the hard work, it was a fun day with great fellowship and a good learning experience. The horizontal stabilizer is being secured in place. Finally is all assembled together and tied down, ready for a flight.